Posted on January 30, 2019 at 9:12 am. Pacific Northwest farmers are likely to see normal or above-normal precipitation this year, weatherman Art Douglas predicts. 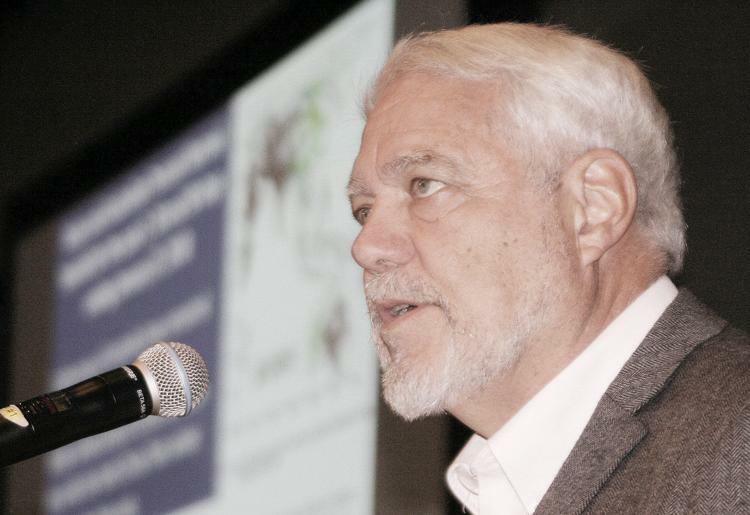 Douglas, a professor emeritus of atmospheric sciences at Creighton University in Omaha, Neb., will offer his popular weather forecast at opening session of the Spokane Ag Expo and Pacific Northwest Farm Forum, 9 a.m. Tuesday, Feb.
Douglas has been a fixture at the Expo since 1977. “The first thing we’ve got to keep in mind is we have an El Nino, and it’s not been a normal El Nino development,” Douglas told the Capital Press in November. An El Nino is the warm phase of temperature fluctuations in the ocean and atmosphere in the east-central equatorial Pacific, according to the National Oceanic and Atmospheric Administration. It usually means dry conditions in the Pacific Northwest. A La Nina is the cold phase of those fluctuations, and means wetter conditions in the Pacific Northwest. A La Nina means “horrendous” winters for the Pacific Northwest, which is not expected at all, Douglas said. He said the main cold for the winter was in November and December, followed by above-normal temperatures from February into April. Douglas also expected dry winter conditions in the Northern Rockies, and storms off the West Coast. During the spring, Douglas expects good moisture through northern California, Nevada, the northern Rockies and the Northwest. “Compared to a lot of El Ninos, not as big a threat for drought, and at the same time, the dry period’s going to be the winter, and it’s not going to extend into the spring, which often does a lot of damage as you’re trying to get the crop back,” he said. Douglas predicts 90 percent of normal precipitation in the Spokane area. The biggest question is whether the El Nino continues into the summer and the fall, he said. El Ninos typically have an average lifespan of 12 to 14 months but some can last longer — two to three years. One El Nino lasted from 2014 to the end of 2016, he said. Forecasts indicate current weather patterns are similar to the early 1990s, when El Ninos tended to repeat, without La Nina cooling, Douglas said. Conditions have tended to be drier than normal, Douglas said. The trend should turn wetter in the end of February through to April.